We are currently collecting information from our local filmmakers and production companies to bring you a comprehensive list of companies and individuals to help you on your next film project. We want to provide a way for film makers to connect and find the right people for their productions. By providing us with your information you are helping us build infrastructure within our industry. Please be aware that all information provided will be open to the public. Be sure to provide contact information you are okay sharing. If you have any other questions or would like to make adjustments to your entries after you have submitted, please contact us. We are working on an campaign to help promote filmmakers and our community. Over the next year we will be interviewing filmmakers to get some insight into what it is like filming in Washington State and to get to know the wonderful personalities we have here. If you would like to be interviewed please click on Filmmaker Profile Project to fill out our registration form. Bellingham Film holds film mixers bi-monthly. A guest speaker will share on a variety of core film subjects. 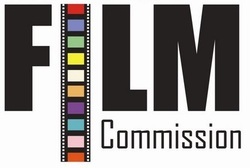 List of film Commissions across America. These Film Offices can be invaluable in helping filmmakers understand their local laws and programs.